I first started playing the guitar over 20 years ago and in this time have played live concerts in various bands. I have a diverse range of musical interests and styles. I play anything from rock to funk, blues to Middle Eastern music. Im currently involved with the Cheltenham improvisers orchestra and the Oxford improvisers collective. 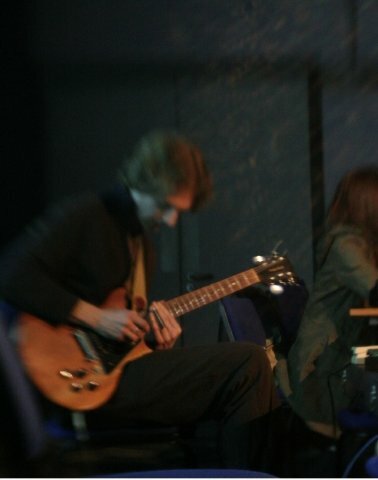 My teaching experience goes back 10 years, during this time I’ve taught in schools for North Somerset and Warwickshire County music services, organised guitar workshops at the Bristol Folk house, Wotton arts Centre and have been involved with the Rock Project in Portishead. I teach either electric or acoustic guitar. All ages and abilities from beginner to advanced are welcome. Im flexible to your individual needs so will teach only what you want to know. I make my lessons fun while also giving you the skills/confidence to help improve your playing. Im happy to help you practice towards exams or just to have some fun playing your fav songs.